Revelation chapter 12 presents a big-picture overview of what has often been called the great controversy between Christ and Satan. I found Revelation chapter 12 to be one of the more difficult to understand and, on a number of points, I give various possibilities as to the meaning of verses. Let's start our verse-by-verse examination of this interesting chapter. heaven where God dwells which Paul refers to as "the third heaven" and connects with paradise (2 Cor 12:2,4). Since verse 1 speaks of something that is visible it must be in the first or second heaven (or both) where it can be seen. Some have investigated connections with the stars (the constellation of Virgo the virgin) and the moon. I will not go into that here but I would not want to rule out that there could be a connection. Verses 4 and 5 seem to be referring to the third heaven so all three meanings of heaven seem to be involved. The sun has also been understood as the glory of God with the moon representing the ceremonial law. The 12 stars have been linked to the 12 patriarchs, the 12 apostles or the 12 tribes; it must be symbolizing something of which there are 12. These verses could be referring to the bringing forth of this group of people out of God's end-time church also referred to often as a woman. Could this be the point referred to by Jesus when He said "All these are the beginning of sorrows." (Matt 24:8) "Sorrows" is translated from the Greek word "odines" which can mean "birth pangs." The dragon, of course, is Satan himself as verse 9 clearly says. He is described as "red" because he has been involved in much persecution and bloodshed. We will consider the numbers of heads, horns and crowns in our discussion of chapter 13. The promise to those alive at the Second Coming also involves being "caught up unto God:"
Mary and Joseph fleeing to Egypt until after the death of Herod. The church fleeing to the wilderness during the Dark Ages. This includes both the mountainous areas of the Alps (the Waldensians) and later the relative wilderness of North America. The church fleeing persecution in the last days. A separate page looks at the wilderness experience as a time of divine protection. 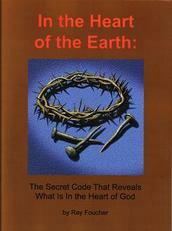 For a continuation of this study of Revelation chapter 12 go to Revelation 12 part 2 - the Fall of Satan.